We’ve already spoken in depth about the infamous open bus ticket in Vietnam, the transport that is both loved and loathed by travellers across the world. What we haven’t really mentioned is taking the train in Vietnam. Train travel in Vietnam is more expensive than travelling by bus or by motorbike but, if you opt for the soft sleeper carriages, it is infinitely more comfortable.The Vietnam sleeper buses are notoriously small, often uncomfortable and noisy. A sleeper carriage, on the other hand, is extremely comfortable especially when booked between four (or six) travelling companions. While you can never guarantee quiet on public transport in Vietnam, the closed off carriages are generally peaceful! So, where should you take the train in Vietnam? The most obvious choice for train travel in Vietnam is the Sapa train bound for Lao Cai. Despite the fact that Sapa doesn’t have a train station, this is probably the most popular way to arrive in the mountains. Trains currently depart Hanoi at 20:17, 21:35 and 22:00, arriving in Lao Cai at 4:35, 5:30 and 6.05 respectively. It is then a simple one-hour public bus or shared mini-bus journey through the winding mountain roads to Sapa. The train to Sapa is a good chance to treat yourself to a little luxury with a high-class train carriage and get a good night’s sleep before your Sapa adventures. Probably the most famous train journey in Vietnam, in fact, the most famous route in Vietnam in general, is over the Hai Van Pass from Da Nang to Hue or vice versa. The road route is plied by hundreds of motorbikes and scooters a day and it is quite a ride, but if you don’t have your bike legs then don’t fear as the train journey offers just as beautiful views. Hugging the coastline and surrounded by dense jungle, the Da Nang – Hue railroad is absolutely spectacular so make sure you get a good seat, on the right going to Hue and on the left going to Da Nang! The SE2, SE4 and TN2 run from Da Nang to Hue during the day and SE1, SE19 and SE3 run from Hue to Da Nang all before lunchtime. Just like Sapa, Phong Nha isn’t on the line. However, if you feel like escaping the city to nature with a beach stop on the way, then you can take an easy overnight train from Hanoi all the way down to Dong Hoi. This is Phong Nha’s beachside neighbour and a lovely place to reside for a day or two in good weather. You can then hop on a group tour or hire a motorbike to make the 1-hour journey into the National Park. The popular beaches of Mu Nei – Phan Thiet can be reached directly with a short 4-hour train journey straight from the city streets to the sand. Trains depart Saigon at 6:40 and 17:40, so you can either leave early with a full day on the beach ahead or leave late after a day exploring the city. If its the train journey itself that you’re looking forward to then book yourself on one of the luxury lines from Ho Chi Minh to Nha Trang. The Golden Trains are made up of 4 and 2 berth carriages with a little extra class, comfort and that all important AC. If you want a true adventure then why not book a train from Vietnam all the way to Beijing, China? Trains depart Hanoi Gia Lam station daily for Nanning for under $30 for a sleeper train. You can then transfer to a Chinese train to head anywhere in China, including Beijing. If you love train travel and want to explore Vietnam’s northern neighbour, then there couldn’t be a more local way to do it! Plus, the journey is only 2 days! 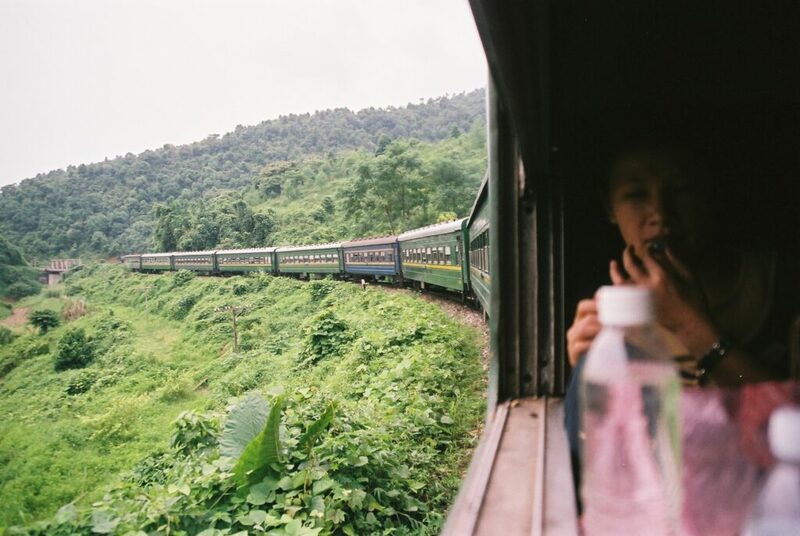 Have we got you excited about train journeys in Vietnam? Book with us today and find the best prices in Hanoi!